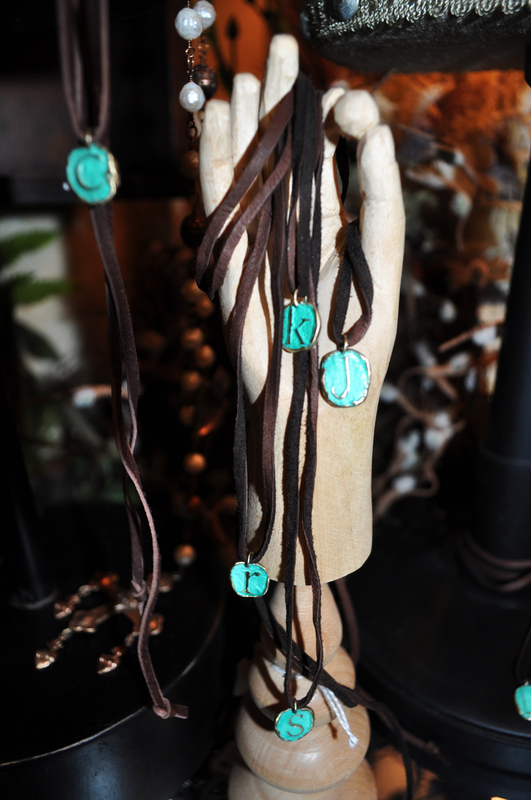 These deer hide leather strands with turquoise patina initial pendants are so sweet and delicate. They would make a personal & sweet graduation gift for your senior or a sentimental Mother's Day gift. Tie or loop them around your neck or wrap them around your wrist. Stamped by Texas artist on back each are only $32.00 each. We will wrap them beautifully for you free of charge too!